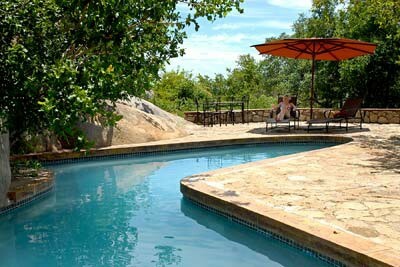 Kwa Madwala Private Game Reserve is a 4 000 ha Big 5 conservancy situated in South Africa, located on the southern sides of the Kruger National Park, between Swaziland and Mozambique. 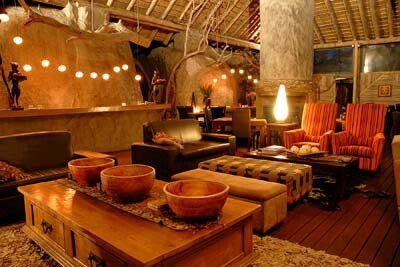 The reserve furthermore consists of a 4 star luxury camp, offering wilderness and big game experiences. An extensive variety of activities can be combined in and round the reserve to ensure an unforgettable holiday in South Africa. Looking like giant rocks the unique dome shaped suites are scattered across the kopjie with fabulous views out across the bush from the private wooden deck. Each suite is fully air-conditioned and offers an outside shower, deck chairs and hammock your stay even more restful. 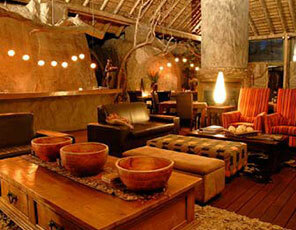 The lodge offers a cool swimming pool, boma dining decks, a bar and a viewing lounge deck. Seven of the suites also feature a separate living room complete with sofa bed, mini fridge and wood burner. These units are well suited to families with children. Maximum room occupancy in these units is 3 adults or 2 adults and 2 children. 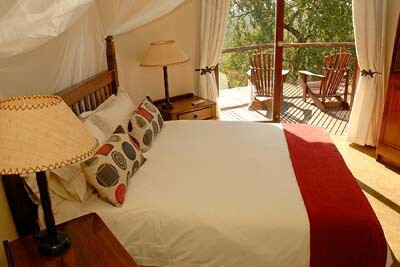 The beautifully appointed Honeymoon Suite offers a romantic large four poster bed, private deck and outside shower. Located in lowveld bush to the south of Kruger National Park, this 4000 hectare conservancy is home to a vast array of mammals, birds, amphibians and reptiles. 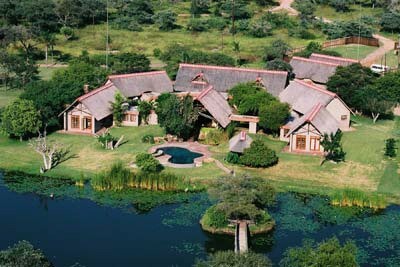 The reserve is a mixture of lowveld savannah and thick bushveld making for a highly varied biome. Through hard work and perseverance, Kwa Madwala today boasts a hugely diverse variety of wildlife, both big and small. We take pleasure in showing you not only the big 5 of course, but also in highlighting the unusual, the small and the rare. Our fully trained rangers are assisted by a tracker who sits at the very front of the vehicle to scour the bush and tracks for signs of wildlife. Rangers are not restricted just to the dirt tracks have the ability to take the vehicles just about anywhere on the reserve as long as it is safe to do so. It can be bumpy at times. Departing after breakfast this is the opportunity to get up close to see and appreciate not just animals but the whole ecosystem. Assisted by a tracker a short drive is taken out into the reserve from where the walk starts. The duration of the walk will depend on the wishes of the group and the weather. Traversing the African veld in the company of these majestic giants is a rare privilege indeed. With ears flapping noisily, trunks swinging and the soft padding of huge feet this is an incredible experience. Following a carefully planned route through the reserve, gently amble across the bush getting closer to wildlife than is usual. Antelope, zebra and wildebeest will continue to graze unconcerned by the proximity of the elephants with their human companions atop. Kwa Madwala has pioneered low level aerial game viewing flights and is one of the few places in Africa to offer such an experience. Using a microlight aircraft makes this the ultimate safari.